A business may elect to operate under a DBA ("doing business as") name that is different from its legal name. When this occurs, it is important that the public be informed that the two names represent the same entity. To file a lawsuit against the business, for example, you must know its legal name. The Illinois Business Code requires businesses to follow certain procedures to register a DBA name. The legal name of a sole proprietorship is the name of the individual owner, while the legal name of a general partnership is either the name stated in the partnership agreement or the last names of the partners. Use of the entity's legal name may be inconvenient for business purposes – a sole proprietorship, for example, might prefer to advertise itself as "Doll Face Disco" rather than "Ronald H. Stewart." 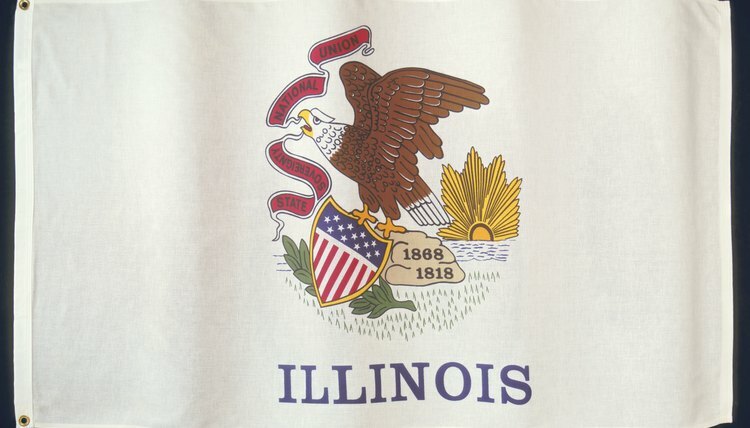 In Illinois, only sole proprietorships, general partnerships and professional corporations are required to register DBA names; limited liability companies and corporations are not required to register DBAs. A DBA may not misrepresent the area in which it operates. This means a business may not advertise or register itself as "Chicago Catering" if it does not do business in Chicago. Some cases are ambiguous, however; "Vincent's Chicago Pizza," for example, might be acceptable because it identifies a style of pizza preparation rather than a location. A DBA is also prohibited from misrepresenting the type of business it operates – for example, a payday loan service may not advertise itself as "Carrington Bank" if it is not licensed to perform full banking services. To apply for registration of a DBA name in Illinois, you must complete an assumed name application for each county in which you do business. This application requires you to include your legal business name and addresses, the nature of your business, the names and addresses of the owners and the business's DBA name. You must also complete and submit a Copy of Legal Notice to be Published form along with the local filing fee. The county clerk will assign a file number and return the legal notice with the application file number. You must publish the legal notice once a week in a local newspaper of general circulation in the county where you are registering your DBA name within 15 days of the application filing date. The notice must appear at least once a week for three consecutive weeks. You must obtain a Certificate of Publication from the newspaper and submit it to the county clerk, along with a clipping of the notice, within 50 days of the application filing date. The county clerk with then issue you an Assumed Business Name Certificate.